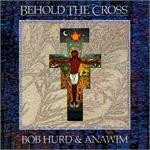 Bob Hurd is famous for his Catholic music which is sung in churches around the world. He is most famous for his songs Taste and See, Our Blessing Cup and Behold the Cross which appear on the bestselling God's Eye is on the Sparrow CD. His bilingual liturgical CD, Pan de Vida is also a much-loved bestseller. Bob lives in San Jose, California, with his wife, Pia Moriarty, who has collaborated with him on much of his bilingual Catholic music. Includes: Unless A Grain Of Wheat, Shelter Me O God, I Want to Praise Your Name, and They Who Do Justice. Includes: Though Not Seeing You, Abide in Me, Come to Me and Drink, and Litany of Peace. 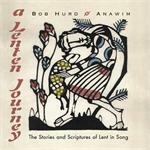 The Stories and Scriptures of Lent in Song. 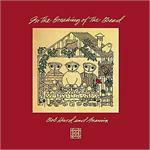 Bilingual Ritual Music by Bob Hurd and Jaime Cortez. 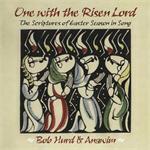 Includes: Lord, Let My Prayer Arise, Lamb Of God/Cup Of Blessing and Let Us Go Rejoicing (Ps. 122). Incluye: Mardre Del Desaparecido, Pubelo De Dios, Envia Tu Espiritu y Pan De Vida. Includes: Taste And See, Our Blessing Cup and Behold the Cross.